Doing Chaturanga is no picnic. But neither is teaching it. In fact, most of us don’t actually try to teach Chaturanga. We just say “Chaturanga” when it’s time for students to do the pose and hope for the best. 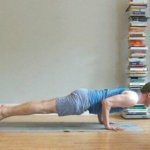 In the first four parts of The Expert’s Guide To Practicing and Teaching Chaturanga, we looked at the challenges and solutions that occur while practicing Chaturanga. Now, it’s time to turn the tables. As teachers, we need to look at why this pose is so [email protected]#$ hard to teach and what we can do to become more effective at teaching this pose. And, by the way, if you haven’t checked out the first four parts of this series, it’s time to do so. As a technique-oriented vinyasa instructor, I have my work cut out for me—and so do you if you’re providing detailed instructions while teaching flow yoga. The heart of vinyasa yoga is the rhythmic connection between breath and movement. And, honestly, it’s tough to keep things moving—and your students breathing—when you’re laying down nuanced verbal cues. But, the verbal cues are important because they provide key details that build depth, clarity, and safety in the postures. Teaching Chaturanga epitomizes the difficulty of incorporating detailed verbal cues into a vinyasa flow. You can’t teach everyone everything about every pose in every class. Please read that sentence again and get it tattooed in Sanskrit next to your Om symbol. If you’re anything like me, it will relieve a lot of anxiety and help you edit your inventory of verbal cues. You can’t teach everything about Chaturanga to everyone in every class. But, you can teach one thing about Chaturanga in each class. Especially if you reinforce your teaching by repeating it many times over throughout class. I always pick one component of Chaturanga for every class and repeat (nearly) every Chaturanga. This might be, “hug your elbows in,” “lower only half-way to the floor,” or “keep the front of your shoulders up.” This way, students will learn the important aspects of the posture over time. It’s hard to teach the details of Chaturanga because very few students can stay in the pose long enough to learn them. Even brand new, sparkling green yogis can stay in most standing postures long enough to hear your cues and do their best to respond. Neophytes can stay in seated postures, reclined postures and, even, Down Dog long enough to engage, lift, lengthen, and open according to your cues. But, reader, drop down into Chaturanga and see how many new insights you can hear from your teacher while maintaining the pose. Pretty much every discipline on the planet—from sports, to martial arts, to gymnastics, to performance arts—has figured out that “drills” are a necessary aspect of subject mastery. Except, I think, flow yoga. 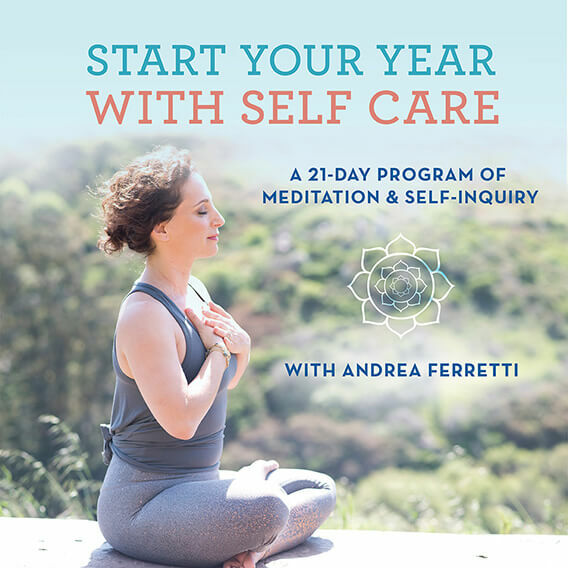 In flow yoga, we rarely break things down into specific drills that are designed to teach people how to do hard things in a step-by-step manner. Instead, we expect everyone to just catch on while cranking out the flow and sweating to the play list. Sometimes this works. When it comes to Chaturanga, it usually doesn’t. So, from time-to-time, I do drills. Sometimes, I have students do Chaturanga with a block under their chest; sometimes, I have students do Chaturanga with a belt around their arms; and, sometimes, I have students do Chaturanga with their knees on the floor. I do all of these OUTSIDE of the flow. Either before we really establish the flow of class, or, later in class as if Chaturanga is the peak pose of the class. In my experience, Chaturanga is not a beginner’s pose. Unfortunately, it’s frequently included in beginner’s classes. Even with adequate instructions and thoughtful preparation, I believe it’s too difficult to do well until you’re a more seasoned practitioner. When new students are asked to do Chaturanga in a beginner’s class, or new students wander into a mixed-level class, they do their best to keep up with the flow. When they try to keep up the flow and are ill-equipped for the strength and technique that is required, they develop bad habits that can take years to correct. If you’re teaching Chaturanga to new students, please reconsider. Instead, teach them the strengthening postures and alternatives that I included in The Expert’s Guide to Chaturanga, Part II. Also, teach them Plank, Cobra, and how to lower to the floor. Even more, reinforce the idea with all of your students that the best way to learn things is slowly and progressively. If you’re teaching mixed-level classes, don’t immediately default to Chaturanga. Instead, include the motion of Plank, Cobra and other strengthening postures prior to teaching Chaturanga in your flow. Then, continue to give these postures as recommendations to “the newer students” in the room. I regularly say, “If you’re in the first year or two of practice, please continue to work on coming to the floor and doing Cobra.” Does everyone listen to me? No. Do I always listen to myself? No. But, offering appropriate guidance is important. The pace of an asana practice should never preclude attention to detail, precision, or absorption of the postures. Unfortunately, modern vinyasa yoga is often taught at such a quick pace that the breath is rushed—ironically making people quicker, shorter breathers—and details are inaccessible. So, I’m going to say something right here and repeat it in the “solution” paragraph below: If your students can’t do something slowly, they can’t do it quickly. 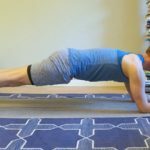 If your students need to move through Chaturanga quickly, they probably aren’t doing Chaturanga. They’re doing a drive-by. And, hey, we’ve all been there. But, doing postures so quickly that they don’t register or become fully formed isn’t worth it. Even more, it increases the risk of injury. As promised: If you students can’t do something slowly, they can’t do it quickly. So, here’s my solution: Focus on helping your students slow down, pause, and establish Chaturanga fully before letting them glide into up dog. Have them land in the pose. Have them register it. Encourage them to stabilize it. It’s OK if they can’t do these things. It just means that they will be better served with more strengthening preparations instead of countless Chaturangas. Sign up for our newsletter and you’ll be the first to know when these posts go live! We’ll also send you Jason’s Guide to Mastering Arm Balances and 5 free peak pose sequences. Why? Because we love you. Wonderful article, everything I have trouble with in teaching flow summarised here! Glad to hear it, Ruth. Krishnamacharya said that if you’re dripping with sweat and breathing hard while you’re doing yoga, then you’re doing it wrong. I hear you, Susan. Fortunately, there are still plenty of studio owners that hear you, too! thank you so much for this. 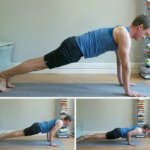 one of my plans this fall was to really breakdown plank to chaturanga to updog – so this is a really wonderful tool to add to my toolbox. I’m on the East Coast and missed you in NYC – should you offer a 300 hour TT anywhere around the MA area, I’ll be there. Thanks again for all your great teachings! Love your teaching and wisdoms Jason. You say it how it is and with that empower us. Thanks so much! Ill get to one of your advanced TT’s some lucky day! Thank you so much for spending your time writing this! As a new teacher I am incredibly grateful for the way you break things down. 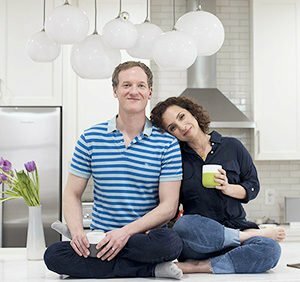 I also love your focus on science and anatomy, I believe its important to use the tools that modern day science has given us, to make yoga safer for everyone. I´ll use this platform to thank you for all your great classes at YogaGlo as well, and I hope to experience you as a teacher when you come to Norway next spring! Thanks, Cecilie! Looking forward to seeing you in Oslo next year! This is awesome! Im teaching a workshop that will include breaking down chaturanga and this was just what I needed. Very much looking forward to seeing you teach in London come March! I really enjoyed this series! The whole “chaturanga-upward facing dog-downward facing dog” flow is the bane of my existence as a yoga teacher. I think it’s so complex and many people have improper form while transitioning between those postures. Even when I don’t cue those poses, students feel like their flow isn’t complete unless they throw it in there anyway. I try my best to breakdown postures outside of the flow and make cues clear, but people tend to default to their improper motor patterns. You gave me some good ideas for drills and cues to help students get into proper form. Thank you! Great series, Jason! For those who want to get that tattoo done (see “You can’t teach everyone everything…” above), here’s that phrase in Sanskrit, courtesy of tamilcube.com: य़ोउ चान’त तेअच् एवेर्योने एवेर्य्थिन्ग अबोउत् एवेर्य पोसे इन एवेर्य च्लस्स. Dear Jason, thank you SO MUCH for this series. 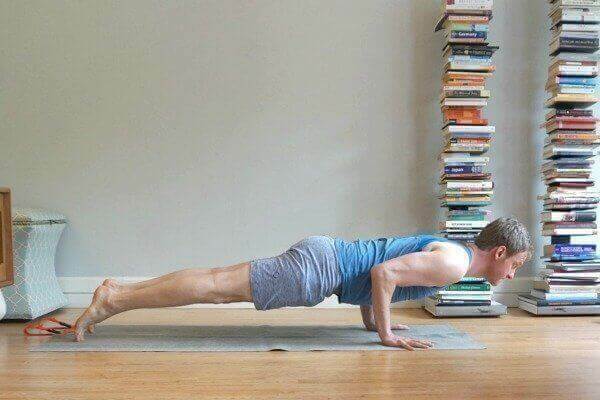 It’s the most complete guide to chaturanga that I ever read. You really have a gift for making complicated issues easy to understand. I am in awe of the way you explain WHY some things work/don’t work. Thanks! Jason – I really appreciate this series. I find the vinyasa flow classes move too quickly and you have explained things so well and provided excellent suggestions and reminders that I will definitely incorporate in my classes. Thank you so much for sharing your knowledge and experience! I’m glad this is helpful for you, Debbie!